Artificial intelligence and other disruptive technologies, including messaging and predictive, are affecting the entire marketing ecosystem. Every brand, marketer, product manager and innovator must be ready to harness the disruptive impact AI is having as it pushes forward intelligent assistants, bots, smart voice, personalization and more. We’ll be exploring it all over two intensive days at MB 2017. MobileBeat is the leading event to explore the major trends around mobile and digital disruption for mobile product innovators, investors, brands, and marketers today. We will notify you of our new speakers, sessions, tracks and events! Mike is the VP of Engineering at Airbnb, he is responsible for delivering simple, elegant ways to find and stay at the most interesting places in the world. Mike is building a team of engineers that will have a big impact as Airbnb continues to build the bridge between the online and offline worlds. Mike's team is particularly focused on search and matching, systems infrastructure, payments, trust and safety and mobile. Prior to joining Airbnb, Mike served as a Director of Engineering at Facebook focused on user growth and engagement. Previously he was at Yahoo where he led the engineering team for Yahoo Mail. Tony Xu is the CEO and Co-founder of DoorDash. Prior to co-founding DoorDash, Tony worked in product at Square, led special projects for the CEO and CFO at eBay, and began his career at McKinsey and Company. He holds a B.S. with High Honors in Industrial Engineering and Operations Research from UC Berkeley and a MBA from Stanford Graduate School of Business, where he was an Arjay Miller Scholar. Rashmy Chatterjee leads Marketing, Communications, and Citizenship for IBM in North America, holding responsibility for client experience, engagement, and the health of the brand. Previously, she served in leadership positions for IBM’s Security Systems division, first as the executive responsible for the integration of Q1Labs—a Security Intelligence company—and later as the Sales leader for the Security division’s North America business. Rashmy has held multiple positions in IBM’s Growth Markets Unit (spanning Asia Pacific, LA, and CEEMEA). She was IBM Software leader for ASEAN/India with P&L responsibility, and later had responsibility for IBM Channels, Digital Sales and Geographic Expansion in the Growth Markets. She has held leadership positions in Strategy, Sales, Marketing, Digital, and Channels for global and geographic business units. Swapnil is a Product Entrepreneur and CEO of Mezi, a company that is building a human assisted artificial intelligence platform to connect every shopper with expert assistance. Before Mezi, Swapnil was the Co-Founder and Chief Product Officer of Dhingana. Dhingana was acquired by Rdio on 14th March 2014. Swapnil joined the executive team at Rdio as Vice President for leading the Product & Business Strategy in the Emerging Markets. At Dhingana, Swapnil was the founding Board Member and was directly involved in successfully raising two rounds of VC funding totaling $8.5 Million from Lightspeed Ventures, Helion Ventures and Inventus Capital. Greg Chambers has been creating “mic drop” innovation solutions for over 15 years. Chambers started his career helping brands like Gap Inc, The Home Depot, Crate and Barrel, and J. C. Penney design and implement sustainability and energy programs. Chambers went on to invent and author eight technology patents relating to behavior modification, asset optimization and real-time systems. Chambers has also worked in the cybersecurity industry designing innovative real-time intrusion systems for critical cybersecurity assets worldwide. In 2013, Chambers brought his wealth of knowledge about real-time systems and innovation to The Coca-Cola Company and started designing Coca-Cola’s real-time marketing and IOT platforms. Today he serves as the entrepreneurial thought leader for Coca-Cola in the areas of IoT, Proximity, Cloud, Mobile, Social, E-commerce and Big Data. Jeremy is currently the VP of data science at Instacart, where he works closely with data scientists who are integrated into product teams to drive growth and profitability through logistics, catalog, search, consumer, shopper, and partner applications. Previously, Jeremy was chief data scientist and EVP of engineering at Sailthru, which builds data-driven solutions for marketers to drive long-term customer engagement and optimize revenue opportunities. As chief data scientist, he was responsible for the intelligence in the marketing personalization platform, which included prediction, recommendation, and optimization algorithms. As EVP of engineering, Jeremy led development, operations, database, and engineering support teams and partnered with the CTO to drive innovation and stability while scaling. Earlier in his career, Jeremy was the CTO of Collective, where he led a team of product managers, engineers, and data scientists in creating technology platforms that used machine learning and big data to address challenging multiscreen advertising problems, and he founded and led the Global Markets Analytics Group at Ernst & Young (EY), which analyzed the firm’s markets, financial and personnel data to inform executive decision making. His background in data-driven technology products spans a decade consulting with numerous global financial services firms on predictive modeling applications as a leader in the customer analytics advisory practice at EY. Nick has served as the Chief Technology Officer at The New York Times since 2015, focused on building the Times' web and mobile products. Previously he was Chief Technology Officer of Conde Nast, the publisher of Vogue, WIred, The New Yorker and other titles. From 2000 to 2010 he was the Digital CTO at MTV Networks. In 1996 he joined a small music website called SonicNet, that was one of the first "Silicon Alley" web startups in New York. Throughout his career Nick has worked at the intersection of media and the Internet, building media product for mass audiences. Today he is helping The New York Times complete the transition from one of the news media's most storied publishers to a truly modern, digital media company. Nick graduated from Yale in 1990 with a B.A in Literary Theory, and later learned to code on the mean streets of Silicon Alley. Along the way he did time in several bands, playing shows at CBGB's and other clubs around the Lower East Side. He lives in Brooklyn. Siqi is VP of Growth at Postmates, where he leads the growth engineering, user acquisition, and growth marketing teams. Siqi was previously founder of Hey, Inc, the makers of Heyday - the automatic journal and Stolen!, the infamous viral game on Twitter. Before Hey, Inc, Siqi oversaw Central Product Management across all of Zynga and was also General Manager of their China business. Before Zynga, Siqi founded Serious Business, one of the first social gaming companies. Siqi has a background in math and engineering and has spent the majority of his career as an entrepreneur, product manager, or executive. He is an active angel investor in companies such as TouchOfModern, Slant, EquityZen, Amplitude, and FloydHub. Dan Stern leads the innovation delivery team at ATB Financial, a medium sized reginal bank, concentrating on horizon three proof of concepts. Some of his most recent accomplishments include international money movement via blockchain, pepper the robot, bot banking via Facebook Messenger and in branch customer authentication via biometrics. Jake Tyler is the co-founder and CEO at Finn.ai, a leading white-label virtual banking assistant powered by artificial intelligence. Dr. Òscar Celma is Director of Research at Pandora, where he leads a team of 60 scientists and musicologists to provide the best personalized online radio experience. From 2011 till 2014 Òscar was Senior Research Scientist at Gracenote. His work focused on music and video recommendation and discovery. Before that he was co-founder and Chief Innovation Officer at Barcelona Music and Audio Technologies (BMAT). Òscar published a book named "Music Recommendation and Discovery” (Springer, 2010). In 2008, Òscar obtained his Ph.D. in Computer Science and Digital Communication, in the Pompeu Fabra University (Barcelona, Spain). He holds a few patents from his work on music recommendation and discovery as well as on Vocaloid, a singing voice synthesizer bought by Yamaha in 2004. Sherif Mityas is the SVP of Strategy and Brand Initiatives for TGI FRIDAYS responsible for the Brand’s global Strategy, Digital and Technology efforts. Mr. Mityas has more than 20 years’ experience in the retail and hospitality industries in both senior consulting and executive industry roles. Prior to joining TGI FRIDAYS, Mr. Mityas served as the Managing Partner for JS Consulting and as the Chief Executive Officer for Hollywood Video/Movie Gallery. Mr. Mityas received a B.S. degree in aerospace engineering from Boston University, a M.S. in mechanical engineering from Rensellaer Polytechnic Institute and an M.B.A. from Northwestern’s Kellogg School of Management. Laurent is VP of Customer Experience Engineering Walmart Labs, building experiences that bridge the digital and in-store experience across devices for Walmart's customers. Under his leadership, Walmart Labs has increased its commitment to modern technologies and open source development including releasing Electrode, an application platform built on React and Node.js for web and mobile. Laurent has proven experience in leadership, architecting and shipping large scale distributed systems from the ground up. Prior to working at Walmart Labs, he held various leadership roles ranging from CTO to Sr. Director Engineering at unicorn startups like Zynga and large scale business like Paypal and Netflix. Titania Jordan, Chief Parent Officer As CPO, Titania is Bark's resident factotum, her role spanning across product, design, copy, customer acquisition and education, and media relations. Titania has tremendous experience at the intersection of families and technology, formerly serving as CMO at KidsLink, co-founder/CMO at Privet, and Executive Director of Band of Coders Girls Academy. Titania has appeared on numerous national and regional programs, is a regular speaker at conferences such as DigSouth, Mom 2.0 and Dad 2.0, and emcees events like the Atlanta Hawks Agency Shootout. Titania was named a tech "Innovator and a Mother of Invention" by The Atlantan in 2015 and one of the “Women Who Lead & Light Up Atlanta’s Tech Ecosystem” by Hypepotamus in 2016. Titania holds a BBA in Marketing, and enjoys painting and building some pretty sweet LEGO cities with her family in her downtime. Tim Allen was named one of Fast Company's Most Creative People in Business for 2017. Tim brings his roots in product, service design, and strategy to his current role at Microsoft, leading teams of designers in Inclusive Design and envisioning the next shift in computing. His focus on fueling human potential is key to building products and cultures that inspire people to do their best work. Prior to Microsoft, Tim combined design, storytelling, and technology to innovate on behalf of global brands such as Google, Hyatt, and GE as President, Wolff Olins North America. He led experience design for Amazon Echo, Fire TV, and Kindle products as Executive Creative Director in the Product Design Studio. Tim also shaped the vision for one of the largest Experience Design teams in the United States at R/GA, whose Nike+ work established the future of connected experiences for brands. Through innovative work with Adobe, Red Hat, and IBM, Tim holds seven patents related to software design, ranging from chat interface modeling to mobile device synchronization. As an additional outlet for his passion around design strategy and practice, Tim instructs at schools and events around the world. Marc has over 13 years of experience in interactive and emerging technology. Prior to his role as Global Director of Cognitive at Havas Marc served as VP, Managing Director at R/GA, where he helped grow a team of Data Scientists, technologists, and creatives who built data driven platforms and campaigns for Nike, LA Dodgers, MD Anderson Cancer Research Center, Samsung and Verizon. Marc has also managed international design and technology teams in New York and Shanghai for Screampoint, working with clients that included Apple, AIG, World Trade Center Development, Hudson Yards Development and Jamba Juice. Marc received his BA from Lehigh University and his Masters from NYU’s Interactive Telecommunications Program and has been a Judge for the Cannes Lions as well as a lecturer at NYU, Parsons and Montana State University. Alison Murdock leads global marketing at Verto Analytics. Prior to Verto, Alison was VP of marketing at 6sense and VP of marketing and business development at Gigaom. She was former president and co-founder of Dealmaker Media and was VP of events at Red Herring. Charlie Cole joined TUMI in 2015 as the Company’s Chief Digital Officer. In this role, Mr. Cole is responsible for overseeing and developing the brands’ national and international e-commerce and digital platforms. Since Samsonite’s acquisition of Tumi in 2016, Charlie has also taken the role of Global Chief eCommerce Officer for Samsonite Corporation – which includes oversight of global strategy for brands such as Samsonite, American Tourister, Hartmann, Gregory, High Sierra and others. Mr. Cole brings a mix of entrepreneurial and institutional knowledge to the Company with success in both fields, and a focus on creating structures to empower creativity driven by energy and objectivity. Prior to joining TUMI, Mr. Cole held various leadership positions, including serving as CEO of The Line, and head of e-commerce for Lucky Brand and Schiff Nutrition, the largest acquisition of a VMS company in the history of Wall Street. Stan Chudnovsky is Head of Product for Messaging at Facebook. Prior to Facebook, Stan was VP of Growth and Global Strategy at PayPal after a company he co-founded, IronPearl, was acquired in 2013. Stan also co-founded several other successful companies including Jiff, NFX, Ooga Labs, and Wonderhill. Before that, Stan was building Tickle Inc., one of the first social media companies, and grew it to become one of the largest websites in the world by 2003. Originally from Moscow, Stan got his engineering degrees back in Russia and has been living in the San Francisco Bay Area since 1994. Maggie Moran is Head of Product at Hopper, where she is responsible for driving the strategic direction and vision of Hopper's mobile app considering product innovation, user experience and engagement, revenue, and the unique challenges of the air industry. Under Maggie's leadership, Hopper has earned accolades such as Apple's App Store Best of 2015 and the Google Play Award for Standout Startup of 2016. Prior to joining Hopper, Maggie worked as a product manager at Abine, an online privacy startup. Gregg Brockway is Co-Founder and CEO of Chairish, Inc., the parent company of Chairish and DECASO. As a serial entrepreneur with an eye for strategic business investments, Gregg excels at translating good ideas into great products that grow into multi-billion dollar companies. His nearly 30 years of experience includes co-founder roles at travel companies Hotwire and TripIt, President of luxury travel company Classic Vacations and CEO of the media and event company, Maker Media. With a father who has been an antiquities dealer for over 35 years, Gregg has seen firsthand how much the design industry has changed. He earned his MBA from Harvard Business School and AB from Dartmouth College. As Director of Product Design at StubHub, Safia Ali leads the organization that is accountable for experiences on all browsers (mWeb), native apps (iOs & Android), bots, wearables and other platforms at StubHub. Along with a fearless team of visual designers, interactions designers, content writers and prototypers, Safia is elevating design thinking at StubHub, and partnering with a cross-functional group, including product marketing and engineering to deliver an engaging, simple experience for StubHub’s tens of millions of customers across 48 countries. Safia came to the U.S. from Pakistan to attain a Master’s degree at the Academy of Art College in San Francisco. She has been in product design since 2000, and before StubHub, led teams at Intuit for TurboTax, DemandForce and Intuit Health. Chris Chapo is currently Vice President, Customer Data and Analytics within the Customer and Strategy Team at Gap Inc. In this position, he plays the lead role in increasing the company’s ability to best take advantage of quantitative information about customers, ensuring all brands take a data-driven approach in transforming the company to be customer obsessed. Prior to Gap Inc., Chris lead data teams for wide variety of companies, including Apple, Intuit, JCPenney, and Enjoy. Chris has extensive experience building data science organizations, teams and platforms, and applying statistical and analytic rigor to a variety of functions including marketing, customer experience, loyalty and customer service/support. With a passion for technology and computer science, Dmitry jumpstarted his career full force with spending a few years working as an IT Product Manager at Procter & Gamble. After deciding to let his entrepreneurial spirit flourish, he founded a series of startups which he sold in 2015. Since 2015, Dmitry has been channeling his expertise in the and chatbot space through Chatfuel, which received funding from Y Combinator, Greylock, Yandex, The Knight Foundation and 500 Startups. Chatfuel provides a self-serve platform for building Facebook Messenger chatbots. The platform has an intuitive visual interface that enables non-technical and business users design and build chatbot flows and establish conversational rules. Developers also benefit from an easily-editable front-end and features that allow for custom integrations and flexibility. Chatfuel is the largest platform for building Facebook Messenger bots, powering over 46,000 monthly active chatbots built on Messenger to date. The likes of Adidas, The Economist, The New York Times, Golden State Warriors, T-Mobile, and many others built their bots using Chatfuel. Henry Bzeih is responsible for leading KIA’s US operations for technology planning & overseeing the newly established division for expanding the Connected Car and its derived mobility services including urban, e-mobility & Autonomous Vehicle. Prior to joining KIA, Mr. Bzeih held multiple product development leadership positions at Ford Motor Company that encompassed all automotive Electrical / Electronic product development. During the last 10 years Mr. Bzeih’s technical and business accomplishments span an arsenal of breakthrough projects that are enjoying critical success today such as launch of the first generation FORD SYNC as well establishment from ground zero all generations of KIA UVO in the US market. Aside from Mr. Bzeih’s corporate executive responsibilities, Mr. Bzeih serves as a board member for AUTO ISAC and regularly provides expert view and consulting on the trends and future of disruption & technology. Mr. Bzeih holds a BSEE from Lawrence Technological University and an Executive MBA from the University of California at Irvine. Geeta Wilson, Director of Customer Experience at Humana – uses AI (through Cogito’s AI platform) in the call center to analyze customer service calls and provide real-time coaching and feedback (via voice analytics) to improve customer experience, empathy for agents and overall brand experience. o Customers whose calls were handled using Cogito’s AI application reported a 28 percent higher Net Promoter Score. o Issue resolution improved by 6 percent while average call time and escalations—when callers demand to speak with managers—both went down. Deep Varma manages data engineering functions across the Trulia business. This includes the vital acquisition of listings and public records, the consumer search experience and API, email/push, efforts to enhance personalization, industry leading location services such as geo coding, as well as data science, data warehouse, and reporting. During his nearly 20 years of Silicon Valley experience, Deep has focused on building large scale distributed data platforms with IBM, ABB, Yahoo! and two successful startups. Deep is a graduate of the Haas School of Business at the University of California Berkeley. He lives in the San Francisco Bay area with his wife and two boys and loves skiing, watching football, reading technical books, building prototypes and learning new technologies. Amanda Manna is head of narrative and uncommon partnership development for Lowe’s Innovation Labs, part of Lowe’s Companies, Inc. Her team is responsible for envisioning and articulating future narratives that serve as the strategic road map for Lowe’s Innovation Labs, and building uncommon partnerships that help bring these narratives to life across Lowe’s. Amanda’s passion for storytelling established Lowe’s Innovation Labs at the forefront of the disruptive technology discussion and earned recognition for Lowe’s as a leading innovative retailer. She led the development of the team’s methodology for leveraging storytelling as a tool for building the future, beginning with science fiction prototyping and expanding to a larger narrative-driven innovation program. Titus Capilnean is the Growth Manager of DigitalGenius— a venture backed artificial intelligence company, transforming customer service and brand communications. His marketing & growth strategies more growing companies and well established enterprises to adopt practical applications of deep learning and artificial intelligence in customer service operations. Titus is passionate about entrepreneurship, having started 5 businesses to date. He led multichannel campaigns for over 50 brands and his work has been recognized by national, regional and international awards, including a Golden Sabre for PR. He holds an Executive MBA degree from Hult International Business School majoring in Go-To-Market strategies. Ron Palmeri is the founder and CEO of Layer, the communications platform that enables brands around the world to rethink their customer experience with mobile at the core and create delightful interactions across every part of the customer journey, and at the same time close more sales faster. Prior to Layer Ron was managing director of Minor Ventures, where he helped start Grand Central (sold to Google, known as Google Voice), Scout Labs (sold to Lithium) and OpenDNS (sold to Cisco), among others. He also founded company-building platform MkII Ventures and retail analytics startup Prism.com. Ron holds a Bachelor of Arts in History and French from Middlebury College. Justin leads Product Development and Design for Trunk Club. He spends every day obsessing over every facet of the Trunk Club experience from our website through our internal-only tailoring systems. Previous to Trunk Club he managed the Groupon.com site as Principal of Storefront and was VP of Product at Chicago darling Centro Media. Justin has a Masters in Product Development from Northwestern and as a native Chicagoan, can inherently tell you where to find the best Old Fashioned in town. When not at work, he’s usually spending time with Elliot, his wonderful son. Gary Fowler is CEO and Co-Founder of Findo.com, building the next generation of AI search and productivity tools. Findo was recently listed as the #2 AI productivity tool. He has been involved with 7 startups and 1 successful IPO (CKSW). Gary has proven C level experience as well as a startup founder with a focus on “getting stuff done”. Under his leadership Findo has raised 7 million in funding. His proven experience in international operations, sales, marketing and executives helps startups move quickly. Prior to Findo.com, Gary was the co-founder of GVA LaunchGurus, an accelerator and venture fund working out of Eastern Europe. He is a startup advisor, consultant and MBA Professor. As Vice President of Engineering for LinkedIn, Erran is responsible for leading and guiding the development of the company’s consumer facing products (both mobile and desktop) designed to keep professionals connected and informed. This includes LinkedIn's Feed and content products, and extends to networking, search, messaging, groups and LinkedIn profile. Prior to joining LinkedIn in 2009, Erran was a senior software engineer at EMN8 (now Tillster) where he lead numerous software projects. Erran holds a BS in Computer Engineering from The University of California, San Diego. Margaret Wallace is Chief Executive Officer of Playmatics, award-winning creators of digital and real-world games, products and other interactive experiences. She was named one of Forbes “12 Women in Gaming to Watch” and, in 2014, Wallace was highlighted by Fortune as one of “10 Powerful Women in Video Games.“ An entrepreneur with a strong focus on design thinking, innovation, healthcare, VR/AR and product commercialization, Margaret has built and expanded Playmatics across multiple sectors. For more information, visit the Playmatics website at www.playmatics.com. Michele has over 20 years of experience in high-tech product development, product marketing and business management, from start-ups to Fortune 500 companies. As General Manager of Nest’s camera business she’s responsible for driving Nest’s fastest growing product line. Prior to Nest, Michele was CEO of Dictionary.com, a top 100 web property that serves over 70 million unique users monthly, where she grew users and revenue 20% in less than 2 years. Prior to Dictionary.com, Michele was Chief Product Officer at mBlox, the leading brand-to-consumer mobile engagement platform. She spent several years as EVP of Products at Cooliris, a Kleiner Perkins portfolio company known for their stunning photo management applications. She joined Adobe in 2006 as Vice President of the Platform Business Unit, where she was responsible for product management, product marketing and developer relations for the Adobe Flash Platform. Additionally she served as Vice President of Product Management and Design at Netflix, and Senior Vice President of Product Marketing at AOL, where she helped drive product strategy, definition and delivery of AOL's Advanced Communications, Personalization, Mobile and Netscape product lines. She was also Senior Vice President of Product at Excite@Home and held management positions at Silicon Graphics. Michele holds an M.B.A in Marketing and Finance from Santa Clara University’s Leavey School of Business. Graham Cooke is the Chief Executive Officer at Qubit, the leading technology for companies to build personalization at scale. In 2010, Cooke left Google after five years and founded Qubit to help companies develop the most intelligent understanding of their website visitors. Once that deep understanding has been established, Qubit can then precisely match that visitor with the widest range of personalization experiences, and influence behavior at scale to significantly drive revenue growth. An industry leader and in demand figure on the speaking circuit, Cooke is also seen as a strategic partner and counsel to some of the world’s most sophisticated ecommerce businesses, and governments, as they seek to understand data, AI, personalization and the future of commerce. Under Cooke, Qubit has more than doubled every year and is enabling enterprises to win and retain customers by having a focus on multi-channel personalization. In a typical month, Qubit’s platform influences over US$2.4billion in sales and 28 billion individual user experiences across a customer base of almost 300 customers including, Emirates, Ulta Beauty, Spirit Airlines, John Lewis, Ladbrokes, Ubisoft NET-A-PORTER, and UNIQLO. Simon Jaffery was initially responsible for product innovation and developing analysis techniques that lead the way in conversion optimization. After working on each of Qubit's core products across the platform, Simon is now responsible for leading product strategy across Qubit's entire product suite as Group Product Manager. Andrey is an entrepreneur, business leader and a lawyer with over 10 years of experience. In 2016, he decided to sell business in Russia and move to the US. The visa process along with all the paperwork turned out to be a nightmare. That’s what inspired him to found Visabot, an artificial intelligence company, helping foreigners do their visa paperwork in just minutes, not months. Since then, the company was backed by 500 Start-ups, Boost.vc and has Stanford Code-X and Lexis Nexis and Lex Machina as its partners. Visabot was rated among top 5 bots of the year for 2016 on ProductHunt. Andrey is an international speaker and is quoted widely on artificial intelligence, legal innovation, bot building and entrepreneurship including The Wall Street Journal, TechCrunch. Venturebeat etc. As Chief Technology Officer, Joseph is responsible for the development, operation, and growth of OpenTable’s products, driving collaboration and engineering initiatives to ensure that OpenTable’s hardware and software solutions continue to exceed the expectations of diners and restaurants. Joseph brings more than 20 years of experience in the IT industry, and has led OpenTable’s team of engineers and technologists since 2012. Prior to joining OpenTable, Joseph was the CTO for eHarmony, the Vice President of Engineering at Yahoo!, and technologist at Overture, Idealab, and tickets.com. He currently serves as a Venture Partner at FirstMark Capital. Joseph studied at Jerusalem College of Technology. Tim Guleri is a Managing Director of Sierra Ventures, a California based early stage venture capital fund. Sierra's ten venture funds have committed capital exceeding $1.6 Billion. Tim’s investment focus is Information Technology Software companies. Additionally, Tim has helped execute on Sierra’s India strategy and investments. As a venture capitalist, Tim’s taken two companies public; Sourcefire in 2007 (Nasdaq: FIRE) which was acquired by Cisco for $2.7B and MakeMyTrip.com (Nasdaq: MMYT). Additional exits have been Greenplum (EMC Corporation), Net6 (Citrix Systems) AirMedia (AOL), Makara (RedHat), Red Aril (Hearst), Runa (Staples), Bina (Roche) and Appcelerator (Axway). Tim currently serves on the BOD of Applitools, AgentDesks, Treasure Data, Alpine Data Labs, Nexenta, Hired, LeadGenius, Phenom People, Townsquared, Shape Security and Zycada. Prior to Sierra, Tim learnt the ropes as an entrepreneur. He was founder and CEO of Octane Software from 1996 to 2000. He successfully led Octane's merger with Epiphany (Nasdaq: EPNY), a transaction valued at $3.2 billion in 2000. Before Octane, Tim was Vice President of field operations at Scopus Technology. Scopus went public in 1995 and was acquired by Siebel Systems (Nasdaq: SEBL) in 1997 for $800M. Tim was instrumental in growing the company to $100 million in revenue and to 600 employees from 1992 to 1996. Tim holds a MS from Virginia Tech, and a BSEE from India. Erbil is the Head of Product for Lyft's Marketplace and Shared Rides division, the team responsible for building the most fun, personalized and affordable transportation solution for everyone. The future of this team includes enabling any autonomous vehicle to plug into the marketplace to provide rides. To get there, they're working on a range of super interesting technologies such as accurate real-time location, dynamic routing, supply/demand matching, predicted and real-time traffic, event prediction and more. Their biggest challenge is building solutions that work in real-time at massive (and rapidly growing) scale. To build the future of transportation, Erbil is building a team top-notch software engineers, product managers, data scientists and economists to fix everything broken about transportation. His previous team experience includes building Lyft's Growth team with data scientists, economists, ML-engineers, product managers and growth marketers to enable hyper personalization efforts taking the company to a completely new growth trajectory. Prior to joining Lyft, Erbil worked at Facebook for 5 years leading strategic global initiatives on the product and R&D side, including taking Facebook to 1 Billion people and launching Internet.org. Damon has over 19 years of experience in consumer technology and connected entertainment. He heads Business Development for Ironsource, a leading full-service ad monetization platform for mobile and online applications. Since joining Ironsource, Damon has been responsible for growing the company's global presence by amassing from scratch an impressive mobile advertising network of premium publishers like EA, Zynga, Disney Ubisoft and many more. Now Ironsource boasts one of the largest independent mobile ad networks in the industry. Over the past 10 years Damon has held a number of roles in online consumer entertainment, including stints at IGN Entertainment, WeGame and Macrovision. His achievements include the successful acquisition of WeGame by Tagged.com in September 2011, managing the launch of IGN's independent games digital distribution channel and spearheading the "Indie Open House" project, a community outreach program providing aspiring game developers resources to help them achieve their goals. Although originally from Los Angeles, Damon has spent the last 15 years living in the Bay Area with his wife and two children. Personal interests include seeing live music, golf, the outdoors and playing drums. Joe Bentley is VP of Software Engineering at GoPro. He is responsible for building mobile and desktop products, web and cloud services, data sciences engineering, and research. Joe has been key to driving GoPro’s mobile strategy, launching award-winning mobile apps – Quik and Capture – to millions of customers. Prior to joining GoPro, Joe held various leadership roles at Amazon where he led the Digital Platform division, overall Christmas Day digital operations, and development and launch of Amazon’s Fire TV product line. Prior to Amazon, Joe led engineering and product at OnLive, a consumer game console and cloud gaming service. Greg is a tech nomad who has spent his career travelling to and living in every major tech market in the world. Greg now lives in New Zealand but creates businesses that compete on the international stage using Cross Ventures his own Venture Development business to build companies like PowerbyProxi and SLI Systems . In 2016 Greg teamed up with Dr Mark Sagar to create Soul Machines a company focused on humanizing the next generation of computer technologies. By combining a human face with brain models we literally bring computers to life in a very human like way. Whether we are delivering digital humans as virtual customer service and sales agents or human like characters that can engage, direct and teach in an interactive and/or immersive AR/VR experience there is every chance you will end up conversing with a “soul machine” in your future. He is the Sir John Logan Campbell Executive in Residence at the University of Auckland Business School. Saif is the founder of Azkarbot who works with a lot of bot makers and CEOs, executives and solopreneurs to build a great bots. Saif believes that AI industry is gonna be the next hive mind in technology, and He’s achieving his believes by working in widebot as business developer, Saif has landed coverage in print and broadcast outlets around the world, including VentureBeat, Techcrunch , Routers, and CNN. His own articles have been featured in Forbes Chatbotsmagazine and Newsweek . In addition to his extensive technical and marketing experience, Saif was featured in f8 keynote 2017 for building a big social impact with Azkarbot. Kevin Perko leads the Data Science team at Scribd, the premier digital reading subscription that brings users monthly access to the best books, audiobooks, news, and magazines. At Scribd, Kevin and his team of eight are working to drive both product and business insights through experimentation, modeling, and deep analysis. He has more than 10 years of experience working at startups, including Eventbrite. Kevin also co-founded Smart Coffee Technology, where they built an Arduino powered system for dispensing customized coffee. He holds a degree in Finance from Santa Clara University. Anastasia Sartan is a serial fashion tech entrepreneur and the founder and CEO of Epytom, AI Stylist Bot. Epytom analyzes your profile and photos with neural nets to create a Smart Wardrobe — a versatile set of clothes plus everyday how-tos tailored to your weather, agenda, and personality, delivered via chat. The concept has been proven successful by over half a Million people. Previously, Anastasia built one of the major fashion e-commerces in Russia—TrendsBrands. Finalist of Ernst&Young's “Entrepreneur of the year 2015,” Anastasia is also a mom of two toddlers and a proud supporter of Mompreneurs everywhere. Dennis Hills is a Mobile Developer Advocate for Amazon Web Services (AWS) and a University of Washington graduate in Computing Software & Systems. He has nearly two decades of web service experience ranging from client support and networking to software development across various platforms and languages. He has published more than a half dozen mobile apps and is a regular AWS blogger to the dev community. He's passionate about mobile, automation, AI, and serverless cloud computing. or taking apart his two boys’ electronic toys to see how the innards work. In his pre-tech career, he was a forest firefighter and cartographer. He currently resides with his family in a tree house of sorts in Lake Forest Park, Wash.
Franco serves as the Head of Enterprise Marketing at Branch. He is passionate about creating and scaling marketing engines for high-growth tech startups. Before Branch, Franco was leading the demand generation efforts at Apptimize, where he launched the first Mobilize annual conference and grew pipeline creation by 4X in one-quarter. He was also the first marketing hire for Duetto, and one of the first 50 employees at Couchbase. Franco is originally from Italy and he holds a BS in Communication Science from the University of Padova and an MBA from Pepperdine University. Andy Barkett, VP of AI and Machine Learning at REX Real Estate Exchange, has more than a decade of experience in engineering and technology in a variety of fields, including databases, search, semiconductors, robotics, consumer electronics, and gaming. Andy worked on site reliability and search quality at Google and managed Production Engineering for all major product groups at Facebook, including newsfeed, search, messaging, ads, mobile, and payments. At REX, Andy oversees development and implementation of cutting edge AI and big data technologies for real estate. Alex Hunsucker is currently Director of Product for WorkMarket, with more than a decade of experience in product development. Lately, he has been focused on disrupting labor and HR technology through automation, mobile engagement and consumer grade user experience for enterprise users. As a product leader and early mobile innovator, he helped create apps for Eventful, included in the initial Apple App Store launch, and GetGlue, an early social check-in product. Previously, Alex was a leading voice for political advocacy through technology, helping major candidates, including Barack Obama and John McCain, use Eventful to turn online enthusiasm into real-world activism during the 2008 election. Lauren oversees User Experience Design for Nest’s Energy and Safety business lines which include the Nest Learning Thermostat, Nest Protect Smoke & CO Alarm, as well as Nest’s Energy & Insurance Partner Programs. Previously, she was responsible for the User Experience Design of Nest’s core ecosystem features. Before joining Nest, Lauren spent time at R/GA NY where she designed user experiences for Nike+ Fuelband. Additionally she has collaborated with brands including Johnson & Johnson, Centrum, Chapstick, & Wateraid. Lauren earned her BFA in Industrial Design and Human Computer Interaction from Carnegie Mellon University. Saumil Mehta leads the Customers Team at Square, including engineering, product, product marketing and design for Square's Point of Sale marketing, loyalty, gift card and CRM tools to help small businesses attract customers and grow their business. He previously served as Founder and CEO of LocBox and as the Director of Product Management at Kosmix, which formed @WalmartLabs. He also freelanced at VentureBeat in 2008 and helped organize the first MobileBeat. Lisa is the first woman to launch a venture capital firm in Georgia, Valor Ventures, which invests in hypergrowth platform software outside of Silicon Valley and Tier 1 cities. Her leadership has contributed to over a billion dollars in liquidity, including supporting exits in adtech, legal, energy and emerging b2b technologies. She writes about AI and other disruptive platform tech in her innovation column in Inc. Magazine. Lisa is also known for founding the Startup Runway pitch series, the largest in the Southeast region that connects minority founders to seed capital. Anthony Goldbloom is co-founder and CEO of Kaggle (a Google company). In 2011 & 2012, Forbes Magazine named Anthony as one of the 30 under 30 in technology, in 2013 the MIT Tech Review named him one of top 35 innovators under the age of 35 and the University of Melbourne awarded him an Alumni of Distinction Award. He holds a first call honors degree in Econometrics from the University of Melbourne. Anthony has published in the The Economist and the Harvard Business Review. Heather Bell leads Innovation projects at American Eagle Outfitters, Inc. Through the innovation incubator, AEO launches and scales new ideas using emerging technologies that both solve customer issues and provide delight. Heather's leads AEO's emerging bots program as well as pilots with AI/machine learning to drive personalization. Heather is always looking to bridge the gap between digital and in-store. Himesh Patel joined Dow Jones in 2014 as Creative Director. He currently co-leads innovation, focusing on new technologies such as virtual and augmented reality, chat messaging, mobile alerts, and voice. Prior to taking on this role, Himesh led the re-design of WSJ's digital platforms, including WSJ.com and apps for Android, iOS and Apple Watch. Himesh worked for the Telegraph Media Group in London from 2000 to 2013. He led a team of 20+ designers working on the Daily Telegraph, Sunday Telegraph, the Telegraph's website and apps. Himesh played a key role modernizing the Daily Telegraph newspaper, including winning plaudits for a series of high-impact front pages during the Telegraph's 2009 coverage of MPs' expenses, the biggest scoop for the Telegraph in half a century. Himesh's team won European Newspaper of the Year for its website coverage of the 2012 London Olympics. Before joining the Telegraph, Himesh worked for the Independent, where he was deputy art director. He is a graduate of Central Saint Martin's, Britain's leading art college. David Edri is a leading adtech and social media entrepreneur and executive with over 20+ years of industry experience. David is currently the CEO of Emaze, an online content creation software with patented automatic design technology. David was a founding team member of RadiumOne, an online marketing platform, where he led RadiumOne Engage, their marketplace for advertisers to engage with gamers and drive high value branded experiences with Fortune 500 advertisers. David was founder and CEO of Formove.com, an online marketplace, and previously the founder and CEO of 123Out.com, a social network that connected communities with entertainment venues. Christian Guirnalda is the Director of Open Innovation at Verizon where he leads university R&D, intrapreneurship programs, new concept development, and ecosystem engagement. He previously led Seed Stage Programs and Investments for Verizon Ventures, funding Startup Studios and accelerators that focused on media, telematics, IoT and big data. Prior to Verizon Christian worked for Patch/The Huffington Post to create hyperlocal content platforms, American Express to build digital wallet products, and IBM’s Strategy and Change group to advise Fortune 100 publishers, broadcasters, SmartGrid providers and telecoms. He was a double major in Computing and Information Technology and Manufacturing Management and Consulting at Carnegie Mellon and received his MBA from the University of Michigan. Rich Guest is the President of Tribal's North America operations. Prior to his current role, Rich was Managing Director of the award-winning, New York office of Tribal Worldwide. In that capacity he oversaw the work of more than 85 employees on accounts including Diageo, Johnson & Johnson, Hiscox, H&R Block, Merck, NBCUniversal, Novartis AG, and Solvay Pharmaceuticals. During Rich's tenure the office more than doubled in size. Previously, Rich spent several years at Tribal’s Chicago office working in a variety of client service, business development, and marketing strategy roles. He managed agency relationships with clients including Dell, LensCrafters, Microsoft, McDonald’s, Qwest, Ronald McDonald House Charities, and Universal Studios. During this time Rich helped McDonald’s craft their first in-video game marketing strategy. This involved negotiating relationships with Electronic Arts and Activision, which resulted in McDonald's products being placed in The Sims, The Sims Online, and other major video game titles. Rich has also worked at DDB Chicago, J. Walter Thompson (Detroit), and comScore Networks. He has been awarded an M.B.A from the Kellogg School of Management at Northwestern University and a B.A. with Honors from Indiana University Bloomington. Jake Klamka is the founder of the Insight Data Science (http://insightdatascience.com), an education startup that helps quantitative PhDs and engineers transition to careers in data science, data engineering and AI. Over 900 Insight Fellows are now data scientists & engineers at top companies like Facebook, LinkedIn, Netflix & Airbnb with many of them leading data teams. Jake was an entrepreneur in the Y Combinator winter 2011 batch and prior to that was a particle physicist at the University of Toronto, working on the Large Hadron Collider experiment. A 30-year Silicon Valley veteran, Relan has a track record of launching successful social gaming, mobile apps, communication apps, and on-demand mobile services. During his tenure serving as founder and chief mentor at his incubator YouWeb, Relan co-founded Got It with Hung Tran, CS PhD. Now, Relan is bringing together a proven leadership and technology team from Apple, Facebook, Google, Lyft and more to help Got It transform the world of human learning, problem solving and knowledge sharing. A serial entrepreneur, he co-founded, led and/or helped incubate a variety of massively popular chat & gaming start-ups, including Discord, with over 50M users, Openfeint (GREE) CrowdStar (Glu Mobile), Agawi (Google), and Spaceport.io (Facebook), among others. Relan is a longstanding figure in the technology community and has been involved in the Internet as an ArpaNet research engineer since 1983, even before the Web came along. Relan previously served as the founding vice president of Oracle’s Internet Division and held executive positions at Hewlett-Packard and was the Head of Technology who built Webvan'shighly automated systems for online grocery delivery. Relan is an active angel investor and sits on a number of boards and advisory boards. He earned his M.S. in engineering management from Stanford University and a B.S. in computer science from UCLA. Nikhil leads product strategy for Machine Learning based products, including the marketplace Search experience on Etsy. Prior to joining Etsy in 2016, Nikhil was Co-Founder & CEO of Blackbird Technologies (which was acquired by Etsy). Previously, Nikhil worked on search and machine learning at Google, Yahoo and Oracle. He holds a Masters in Computer Science from Stanford University. Roz joined Fetch from Razorfish in November 2014 where she developed her digital expertise across their San Francisco, Sydney and Melbourne offices. She spent 8 years managing a range of high-profile accounts including Shutterfly, eHarmony and Hulu. During this time she got to experience the rollercoaster that is the digital landscape and gain invaluable perspective that she brings to her clients at Fetch. Roz holds a BA honors degree in French, Psychology and International Relations from the University of California. She is also a certified yoga teacher and enjoys spending her weekends with her family and red wine. Sachin Dev Duggal (“Sach”) is the co-founder of Engineer.ai (formerly SD Squared) which is building a Saas led MarketPlace platform that delivers AI + BOT Powered Engineering Teams & Cloud Optimization. Intelligent Cloud Management meets Autonomous Development. With over $43m in revenue in the last 3 years and 180% profitable growth without any external capital, he’s created a business that’s an outlier in tech where most raise tens of millions of dollars and are far from profitable by this stage. Sachin is the mastermind behind the famous “Geeks Dinner” - a 250+ strong community that over the last 7 years has brought together the brightest minds in tech, media (hollywood + bollywood), philanthropy, and venture to talk and think about the most pressing issues, challenges, and ideas facing humanity. Sachin ended up breaking (albeit accidentally) his mother’s computer at the age of 14. Afraid of her reaction, he researched relentlessly until he put the system back together to perfect form. One thing led to another and Sachin established a small PC business at the age of 14. In the following years, he ventured into software and at the age of 17, joined Deutsche Bank as their youngest ever employee, continuing to work there for 5 years. He holds a degree in B.Eng from Imperial College London & a degree in Entrepreneurial master’s program from MIT. He is an Information Systems Engineer with specialization in Mandarin, Finance, Distributed Systems, Software Engineering, Computational Maths and Operations research with Game Theory. Why Is Sachin Often Referred To As a Serial Entrepreneur? He’s the founder of Shoto - a photo & video service that allows users to get the photos they didn’t take from their friends and family. It brings together all your digital memories under one roof, including the ones you might've missed out using AI and Facial Recognition. He took his last company Nivio (his last venture, one of the pioneers of the Cloud in 2004) to $100m in value before exiting, and has been a 2009 World Economic Forum technology pioneer. Nivio was streaming Windows from the Cloud in a browser with an app store that let you rent software from Adobe, Corel, and Microsoft, in the mid 2000s when most people were oblivious to the existence of the Cloud. Sachin is also an active investor in over 20 startups where he spends time and uses the reach of his network to help portfolio companies like Popxo, Clarify Health, Zeus, and HealthHunt. What Do Most People Not Know? Not many people know that Sachin cares deeply about Social Impact and has given large chunks of equity to causes he most cares about in his companies. He recently launched a program called LIFE that pledges upto 50,000 hours of Engineering time to help Charities use technology to further bolster their cause. This has meant persistent work with Her Majesty Queen Rania Al-Abdullah’s ‘Jordan Education Initiative’, the fight against the Death Penalty, fostering education and creativity in young minds both in India and San Francisco, and helping kids in the Middle East rehabilitate after having lost their limbs - using advanced software to build prosthetic arms. September last year, he challenged himself to do a full triathlon with Richard Branson and 100 other people to raise money for the ‘Big Change’, an organisation that uses innovative projects to support the youth with the necessary tools they need to thrive in life, beyond classrooms. Sachin believes in making a difference, however small then it may be, and he continues to do so with his umpteen initiatives, all of which he calls “little nothings”! Brandon Wirtz has been creating AI based on Mind Simulation for more than two decades. Brandon builds high-efficiency AI, which has been part of solutions for everything from Chess Engines to Flight Simulators to Search Engines to Law Enforcement. With experience building Operational AI, Numeric AI, Linguistic AI, and Rational Systems from the ground up, few people have as much hands-on knowledge of what is possible in state of the art. Brandon currently is the CEO of Recognant a multi-disciplinary AI company powered by Loki and AI who writes and maintains her own code. Reid Genauer is a marketing leader with deep experience in data driven growth, strategy, branding and a proven track record of scaling early stage tech companies. Genauer is the Chief Marketing Officer (CMO) of Magisto where he's grown the user base from 3MM to >85MM. He values powerful decision-making informed by a combination of creativity and analytics. The musician’s sense of adventure has inspired his belief in vision and creativity as a driver of value creation. The data he fastidiously collects and analyzes supports that belief and informs his actions. Genauer is energized by leading diverse personalities, interdisciplinary teams and inspired digital businesses. He helps his teams and companies succeed by fueling a culture of curiosity, passion and possibility. With a high degree of analytical skill, he helps his teams deliver focused strategy, decisive tactical execution, honest analysis and iterative scale. Reid Genauer lives at the cross section of data, technology and media. Ina Fried is chief technology correspondent for Axios and editor of its daily tech newsletter, Login. Before joining Axios in February, she was a senior editor at Recode, covering mobile, and produced the Code/Mobile series of conferences. Her road to becoming the woman she is today has been a long one. Before helping launch Recode, Ina covered mobile at All Things Digital. Prior to that she spent a decade at CNET where she covered, among other things, Microsoft and Apple. Her reporting spanned several continents, two genders and included chronicling the Hewlett Packard-Compaq merger, Bill Gates’ transition from software giant to philanthropist, as well as the 2010 Winter Olympics in Vancouver. She is also a former vice president and national board member for NLGJA and a member of the LBGT Journalists Hall of Fame. Alex Rosen was trained as an EE engineer at MIT, paid for college by writing code, and has been backing technology startups since 1993. He is passionate about companies at the intersection of consumer and enterprise technologies, and now invests in cloud infrastructure, SaaS applications, ad tech, and consumer marketplaces. His AI-related investments include Krux (which applied machine learning for marketing automation and was acquired by Salesforce in 2016), Trifacta (applying AI for data wrangling), and MindMeld (advanced AI platform to power conversational interfaces). In addition, he serves as board director or investor at Appboy, Chubbies, Datanyze, Fastly, Minted, Smartling, Tempered Networks, The League, and Uplift. Gil Sever is the CEO and Co-Founder of Applitools, a cutting-edge SaaS startup that provides AI powered Visual Testing & Monitoring for mobile and web apps, enabling reliable Continuous Delivery of perfect apps. An experienced serial entrepreneur, Gil previously founded Safend (acquired by Wave Systems in 2011) and Storwize (acquired by IBM in 2010), and was the COO at Ectel, a NASDAQ company. Gil holds a B.Sc. degree in Electrical Engineering from the Technion, Israel's Institute of Technology, and an M.Sc. degree in Electrical Engineering from Tel Aviv University. Ahmad Abdulkader is CTO of Workfit and a well-renowned industry expert in Machine Learning, Deep Learning, and Neural Networks. Before co-founding Workfit, Abdelkader served as a lead architect for Facebook’s applied AI efforts, which produced platforms like DeepText, a text-understanding engine with near-human accuracy in over 20 languages. Prior to that, he worked at Google, building OCR engines, Machine Learning systems, and computer vision systems. Prior to Google, Abdulkader led a number of teams at Microsoft Ad-Center & Bing. He also built the state of the art 'Handwriting Recognition Technology' which currently powers Microsoft's touch devices including 'Surface'. Matthew Zeiler is the founder and CEO of Clarifai, an artificial intelligence startup that uses sophisticated machine learning to classify images and videos. A computer vision expert with a PhD in machine learning from New York University, Matthew applied his award-winning research in visual recognition to propel the industry from theory to real-world applications, and bring advanced visual recognition AI solutions to the masses. After two internships at Google and studying alongside renowned machine learning pioneers Geoff Hinton and Yann LeCun, Matthew founded Clarifai in November 2013. The company has been a market leader in visual recognition since winning the top five places in image classification at the ImageNet 2013 competition -- beating out industry juggernauts like IBM and Adobe -- and its technology has provided custom solutions for businesses and developers across a wide range of verticals and intelligent apps. As CEO, Matthew leads Clarifai’s vision of a world where AI is easily accessible and taught by a diverse group of people with unique backgrounds. He received a bachelor’s degree in applied science from University of Toronto and currently resides in New York. Andy Lapin is the chief architect for Kelley Blue Book, a Cox Automotive brand. Lapin is charged with overseeing all product architecture for the company. In this role, Lapin takes the responsibility of leading technical research and development, as well as managing Cox Automotive’s architecture team. Lapin specializes in leveraging emerging technology as a competitive advantage for the company as it creates opportunities to delight customers that very recently weren’t possible. Prior to his position as chief architect of KBB.com, Lapin was a solution architect, updating KBB.com into newer technology, which launched in August 2006. Lapin later held the position of product director of Kelley Blue Book’s mobile site. While at Kelley Blue Book, Lapin earned the Kelley Blue Book Core Value Award in 2010 and Microsoft Innovation Award in 2009. Lapin has spoken at the Web 2.0 Expo in 2010 and Microsoft Development Conference in 2009. Prior to joining Kelley Blue Book, Lapin worked for Deloitte & Touche for four years on various projects and an Internet start-up company. Lapin received his Bachelor of Science and Master of Science degrees in physiology with a focus in neurophysiology from University of California, Los Angeles, finding this a valuable skill in understanding the current focus of AI on deep neural networks. Hans is Chief Product Officer at Flipagram, recently acquired by Bytedance, where he leads the product, design, analytics, and community teams. Prior to Flipagram, Hans co-founded Ptch, a fast way to make and share beautiful movies from the photos and videos on your phone, acquired by Yahoo. At Yahoo, Hans ran video product including Yahoo Originals and Yahoo Live which broke live streaming records with over 135 million live streams in its first year. As the Director of Ad Product in Zynga’s Ad Monetization team, Phil works on building engaging mobile in-app ad features with game studios, creating innovative ad products, and driving an industry leading custom Ad Tech stack. Prior to this role, he worked as a Product Manager in mobile gaming developing successful monetization and social features, as well as a Product Manager in Property & Casualty Insurance managing profitability and risk for home and auto insurance portfolios. He holds advanced degrees from MIT and Harvard, and served as a US Army officer in Germany and Iraq. Daniel Brusilovsky is the Digital Initiatives Lead for the Golden State Warriors, focused on digital & technology innovation and emerging technology. He is also a co-founder of imoji, the largest sticker library in the world. imoji was acquired by GIPHY in early 2017. Prior to joining the Golden State Warriors, Daniel was the Head of Business Development & Growth at Ribbon, a San Francisco-based payments startup. He has also spent time at Highland Capital Partners, JESS3, Qik and TechCrunch. He also founded and was CEO of Teens in Tech Labs from 2008-2014. Gabriel Kauffman is the founder and CEO of GobTech, a company he started to explore the possibilities of neural network AI in video games. He has put much of his free time into this pursuit, developing genetic algorithms and neural network AI technology that can autonomously learn to play video games during his ongoing study of Computer Science and Mathematics at Oregon State University. A combined fascination with machine learning, artificial life, and computer science in general, along with his lifelong enthusiasm for video games, has put Gabriel firmly on the path of AI technology. As co-founder and CEO of Element AI, Jean-Francois Gagné is now heading up the world’s biggest AI applied research lab and redefining the industry by developing AI-first solutions to an ambitious array of company challenges and hurdles. An entrepreneur at heart, he’s already founded and successfully exited two AI and Operations Research companies. During his time as CEO of Planora, he led the company in bringing a highly disruptive SAAS solution to market within the extremely competitive Workforce Management space. How did he pull it off? By combining a creative and innovative blend of AI, Machine learning, Operations Research and User Experience. Accustomed to leadership and vision, Gagné became the youngest global C-Level Executive of a top-20 Enterprise Software company by stepping up as CPO and CIO at JDA Software. There, he managed a portfolio of over 100 products and 1400 developers scattered across more than 20 offices worldwide. Bill is the founding investor, head cheerleader and Chairman of the Board for Treasure Data. Customers of Treasure Data's "Customer Data Platform" benefit from low friction applications based on Machine Learning ‘rules engines’ that streamline internal business operations and increase top line revenue. He is known in the valley as "KiteVC" given his 25+ career as a venture capitalist and role as a sponsored athlete / kite-surfing fanatic. Ben Parr is the author of the best-selling book Captivology: The Science ofCapturing People’s Attention-- named the top marketing book of 2015 by Strategy+Business Magazine and Small Business Trends. He is Co-Founder and CMO of Octane AI, the easiest way to create a bot and engage your audience via messaging. He sits on the advisory boards of Lufthansa Airlines, Rebelmouse, AngelHack, UploadVR, LeadIQ, DropIn, and Ustream (acquired by IBM). Previously, Parr was a general partner at DominateFund, a columnist and commentator at CNET, and Co-Editor and Editor-at-Large of Mashable. He is a member of the Forbes 30 Under 30. Lauren is an Offering Manager for Watson Customer Experience Analytics primarily focusing on mobile product. She brings rich experiences in delivering Customer Experience Analytics throughout different roles in IBM as a consultant and sales leader. She worked as a senior consultant of IBM Interactive Experience to create transformative customer experience for major US automotive companies with their mobile application. Most recently, she served a Customer Experience Analytics Regional Sales Leader role for Asia Pacific market to ensure IBM brings the exceptional customer experience to the key clients in +10 Asian countries. Lauren spent most of her career in management consulting and business development in technology and industrial industry. She holds BA from Korea University and University of Minnesota, and MBA from University of Pennsylvania. Rex Lin is a Director of Product at Flipagram, where leads Product Operations. The Product Operations team is responsible for growth, analytics and developing programs that scale. Previously, Rex worked at TrueCar where he helped define the practice of product analytics to drive improvements in the car buying experience. game experiences that keep gamers engaged. Prior to Gyroscope, Adam was an engineer at Google where he help run some of the largest systems on the planet, including YouTube, YouTube Gaming, and Google's global production network. Adam's favorite games are the Civilization series. Linda Jacobson is a VentureBeat event producer, director of virtual and augmented reality projects for Treasure8, and VR/AR venture partner for Accelerator Ventures. A pioneer in enterprise VR, Linda's experience includes serving as first professional VR Evangelist (for Silicon Graphics), teaching VR at SF State, and producing virtual environments for architects and engineers. Linda was a co-founding editor of Wired, launched the Bay Area’s first VR meetup, and wrote two ground-breaking books, CyberArts: Exploring Art & Technology and Garage Virtual Reality. Linda also has led communications and written patent applications for Xerox's PARC, where she helped launch StartUp@PARC. Kabir is the Head of Business Development at Kiip, where he helps make digital advertising experiences rewarding for brands, publishers, and users alike. Prior to joining Kiip, Kabir held leadership positions at NativeX (previously W3i) and Kiz Studios, an independent gaming studio based in Atlanta, Georgia. Kabir is a founding member of the Forbes Business Development Council and holds a degree in Business Management from the Georgia Institute of Technology. Angela Field is Co-Founder and CTO at Spontanimation, which makes emotionally expressive avatars for AI and augmented reality. Prior to her newest venture, Angela worked as a developer for HelloSign, a YC-funded eSignature company. She holds a BA degree in Religion and Philosophy from Haverford College and currently resides in Oakland. Jim Blomo, Director of Engineering at Yelp, is passionate about putting data to work by developing robust, elegant systems. At Yelp, Jim manages a growing data teams that use Hadoop, mrjob, xgboost, and more to process TBs of data. Prior to Yelp, Jim built infrastructure for startups and Amazon. Jim has lectured at UC Berkeley's School of information on Data Mining and Web Architecture and has presented at conferences such as AWS re:Invent and Wolfram Alpha Data Summit. Jim earned a BS in computer science and electrical engineering from University of California, Berkeley. Vera currently works on Global Product Partnerships for the Google Assistant. Her team at Google helps developers with discoverability and reengagement integrations for Google Search and the Assistant on mobile. Previously, she worked at Meebo, an instant messaging and social networking service provider that Google acquired in 2012. She holds a degree from Yale University and resides in San Francisco. Kiyoto is Vice President of Marketing for Treasure Data. A former quantitative analyst and software engineer, Kiyoto now heads up all US marketing efforts. 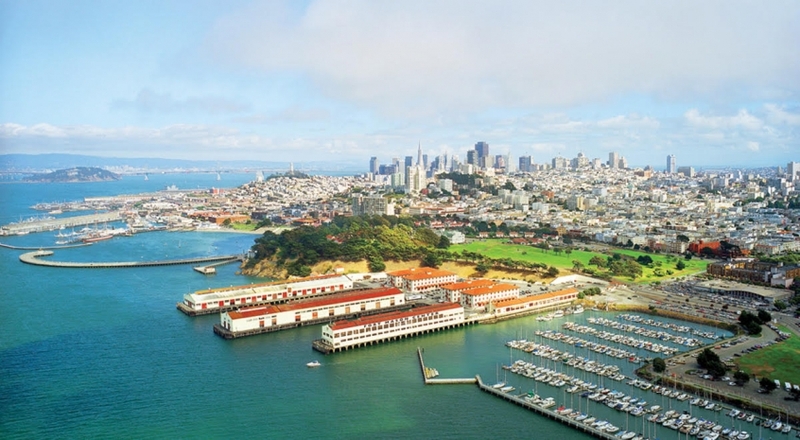 This year, MobileBeat moves to the beautiful Fort Mason Center for Arts & Culture in San Francisco. It offers a spectacular view of Alcatraz and the Golden Gate Bridge and a unique space for networking. Stay tuned for MobileBeat 2017!